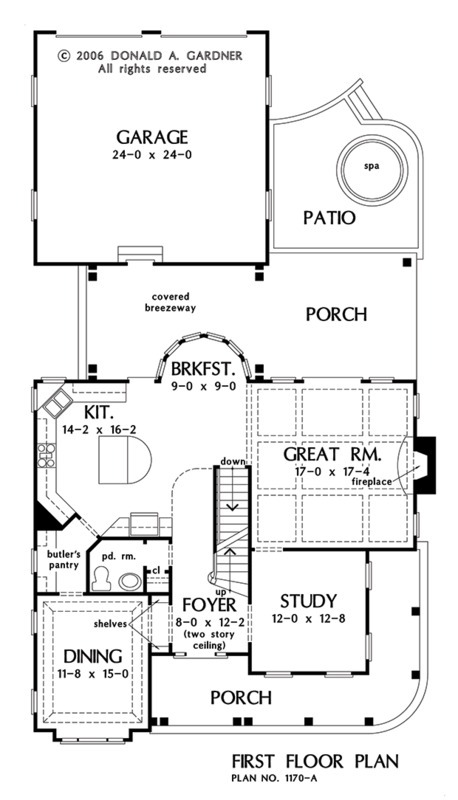 This Traditional home plan is large on both living and style. From the metal-roofed exterior to the unique layout, the Halliday is truly remarkable. A friendly front porch wraps around one side of the home and provides a welcome entry to guests. A two-story ceiling in the foyer of this house plan lends immediate drama as you enter the front door. 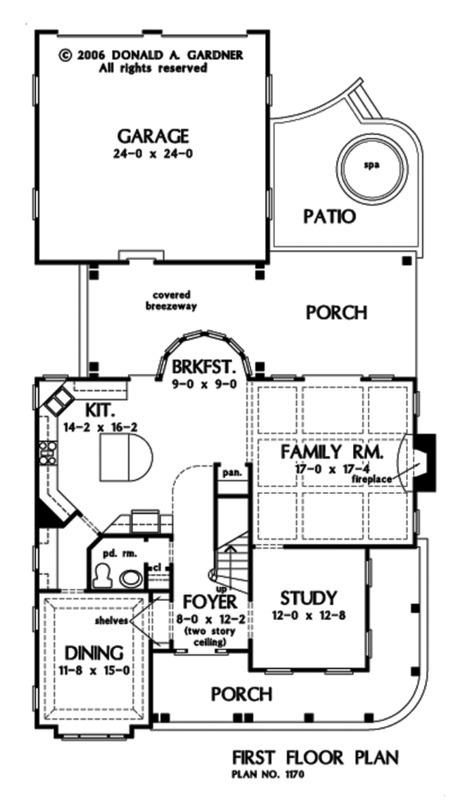 Inside, the family room, kitchen and breakfast nook are all open to one another. The kitchen's center island, breakfast room's bay window and coffered ceiling in the family room are all examples of custom details in the home. For formal meals, the dining room features a ceiling treatment and is nearby the kitchen. Upstairs are three bedrooms, in addition to an enormous bonus room. 2nd Floor: 1308 Sq. Ft. 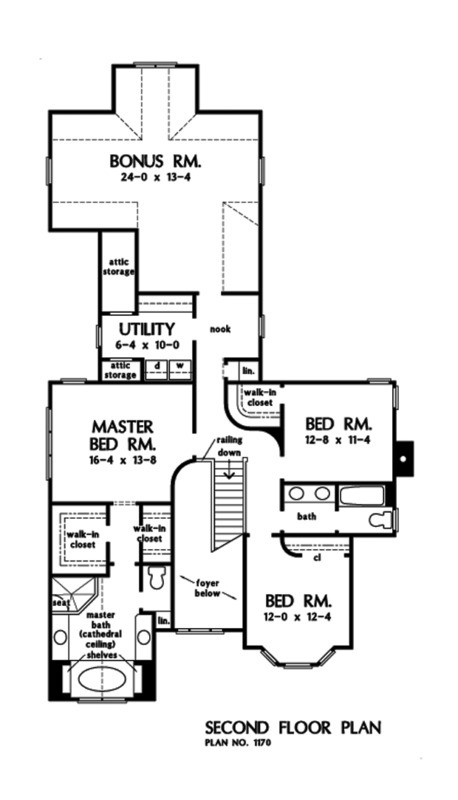 Bonus Room: 506 Sq. Ft.
House Dimensions: 42' 2" x 74' 8"
Great Room: 17' 0" x 17' 4"
Bedroom #2 : 12' 8" x 11' 4" x 8' 0"
Bonus Room : 24' 0" x 13' 4" x 8' 0"
Deck / Patio : 16' 2" x 14' 0" x 0' 0"
Dining Room (Tray): 11' 8" x 15' 0" x 9' 0"
Foyer : 8' 0" x 12' 2" x 18' 0"
Great Room (Other): 17' 0" x 17' 4" x 9' 0"
Kitchen : 14' 2" x 16' 2" x 9' 0"
Master Bedroom : 16' 4" x 13' 8" x 8' 0"
Other : 7' 4" x 7' 4" x 8' 0"
Porch - Rear : 15' 10" x 13' 4" x 0' 0"
Porch - Front : 28' 2" x 5' 4" x 0' 0"
Porch - Right : 5' 4" x 13' 0" x 9' 0"
Porch - Other #1 : 18' 10" x 12' 0" x 9' 0"
Utility Room : 6' 4" x 10' 0" x 8' 0"